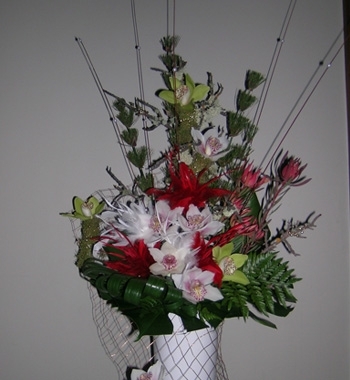 Feathers, Sticks, Orchids, Foliage and fish nets, make this arrangement a stand out success. Exuding Fun Fun Fun! Simply divine for any situation where you want to create that WOW factor. Large Shown.